Attorney General Mark R. Herring is warning Virginia property owners to be cautious of companies offering to sell them a copy of the deed to their home. 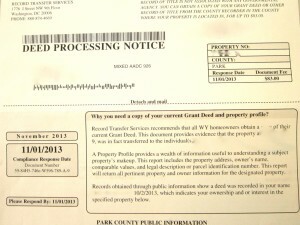 Homeowners throughout the state have been receiving official looking letters, often titled as a “Deed Processing Notice,” that offer to sell homeowners a copy of their deed for $83. 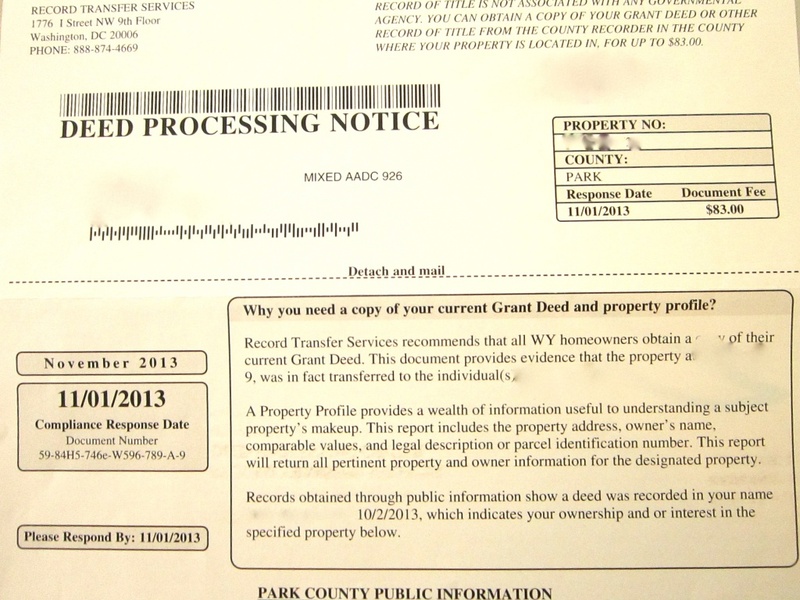 The letters include language that may result in the homeowner believing he or she must comply by a specific date. “Even though these letters look like official notices, they are actually solicitations and should be treated as such,” Attorney General Herring said. “Most home and property owners will receive a copy of their deed at the time of purchase, but if a deed is lost or needs to be replaced, county clerks can often do so at a much lower price. Consumers should read these letters carefully and know they are under no obligation to take action by any artificial deadline.” Or any action at all, for that matter. Herring said homeowners should know that they are under no obligation to pay these entities or to purchase a copy of their deed. In fact, copies of deeds are usually available from the local clerk of court at a much lower rate than offered in these letters. For example, copies of deeds (typically 2-3 page documents) are available from some local court clerks for as little as $0.50 per page, plus $2 if a certified copy is desired. Consumers are encouraged to check with their local court clerk for pricing information.